The NervClub is comprised of clinicians and scientists dedicated to the initiation, development and pursuit of projects in the peripheral nerve field. As such we are a group of handsurgeons, neurosurgeons, plastic surgeons, neurologists, neuroradiologists, neuropathologists, neurophysiologists and neuroanatomists dedicated to interdisciplinary exchange, both on a personal and scientific basis in an attempt to enlarge our nerve orientated network. 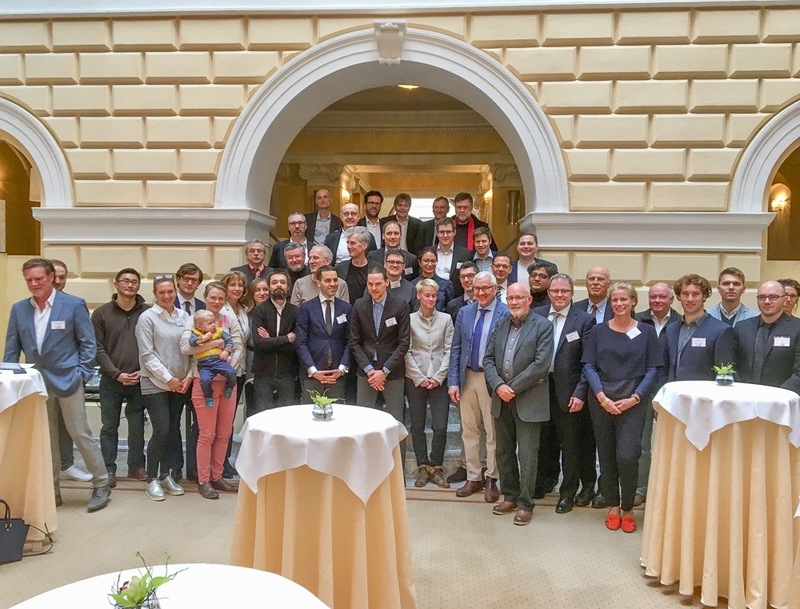 The 2018 NervClub conference and Plexus Symposium took place in Vienna between 22nd – 24th March with great success and with many interesting presentations. On behalf of all NervClub members, I would like express my sincere thanks to Prof. Schmidhammer and Prof. Hausner for organizing the scientific conference, for the supporting program and, in particular, for their generous hospitality. Special thanks are also extended to Ms. Pacher of the Vienna Medical Academy (VMA) who was also responsible for the organization. The 2nd GERSAM meeting took place in Rio de Janeiro on the 10th - 11th of November, 2017. Professor Guedes and Professor Siqueira organized this successful event, in which numerous NervClub members participated. During the meeting, NervClub chairman Prof. Schmidhammer presented membership certificates to Professor Lynda Yang from Michigan and Professor Fernando Guedes from Rio de Janeiro as new corresponding members. Professor Lukas Rasulic from Belgrade was elected as a new corresponding member at the general meeting of the NervClub in Vienna, on the 22nd March 2018. A special edition of "Neurology, Psychiatry and Brain Research" was published and distributed to NervClub members on the Vienna-Meeting. On behalf of the guest editors, I would like thank all contributing authors and reviewers for their support. A training curriculum "Peripheral Nerve Surgery" as a possible additional designation was proposed by Dr. med. Assmus and discussed in the general meeting. The concept will be further developed throughout the course of the year by a group representing all disciplines within the NervClub. The introduction of an annual "NervClub Award” for young assistants / scientists was very positively received by the members. Professor Haastert-Talini will develop a plan for this. The proposal of Professor Schulter-Mattler for the introduction of a junior NervClub membership was also positively received. Young colleagues from our departments/institutes with special interests in the peripheral nervous system will be invited to the next general assembly and annual meeting. As in-coming conference chairman, Professor Bischoff will organize the next general meeting and NervClub conference to take place in Munich, March 2019. A Pain-Symposium will also be planned for the meeting. We wish Professor Bischoff every success.